​Are you a teen that loves the library? Have you always wanted a chance to work here? With summer on its way, we have some fantastic opportunities for you. If you're entering grades 7-12 and want to help at the library the Summer VolunTEEN program is just right for you. We have a variety of opportunities to fit your interests and summer schedule. Visit the Summer VolunTEEN page for more details and to download applications. Most applications are due on May 26. Don't wait or you may miss out on your first choice. We also have a fantastic summer teen internship for people 16-19. If you're interested in learning new things and love to play with and help younger children, this position is for you. Visit our Job Opportunities page for more details and information about how to apply. Applications are accepted until May 3. Stop by the test prep books on the first floor to find SAT guides and practice tests, or check the catalog to place your hold. Visit our Test Prep page and log in to Brainfuse for guides, tips, and practice tests. Take a practice test at the library. Our January session is full, but registration for the February 16 practice test opens this Saturday, January 19. Make sure you're prepared with the College Board Test Day Checklist. We are happy to announce a new collection: Binge Boxes! These nifty kits are loaded with DVDs for your movie watching needs. Do you want to revisit Hogwarts on a weekend? There's a Binge Boxes for that. Do you need some dance and cheerleading fun for a sleepover? We've got you covered. Want to journey to Middle Earth and back again? 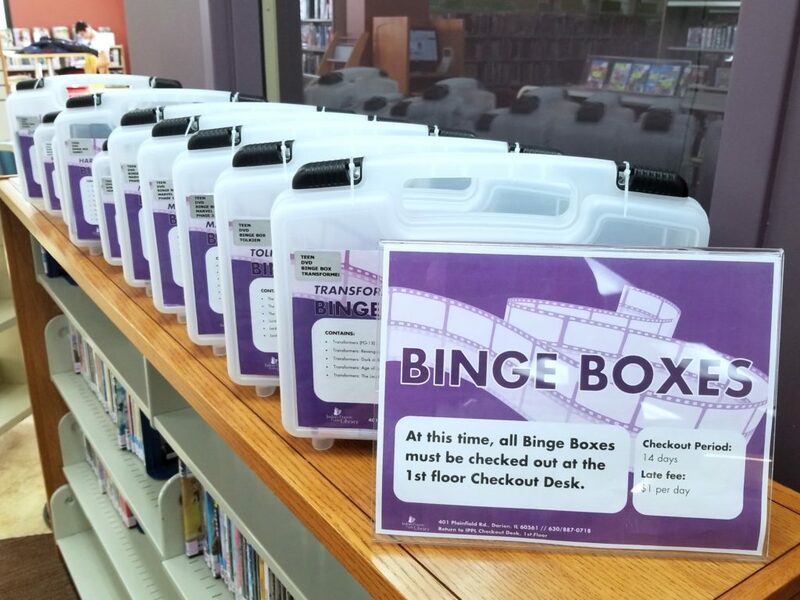 Book your trip with a Binge Box. Our first 10 boxes are located on the second floor with Teen DVDs. Click on the link to search our Binge Boxes and view their contents. Do you have an idea for a Binge Box. Let us know in the comments or stop by the Kids & Teens desk to share. 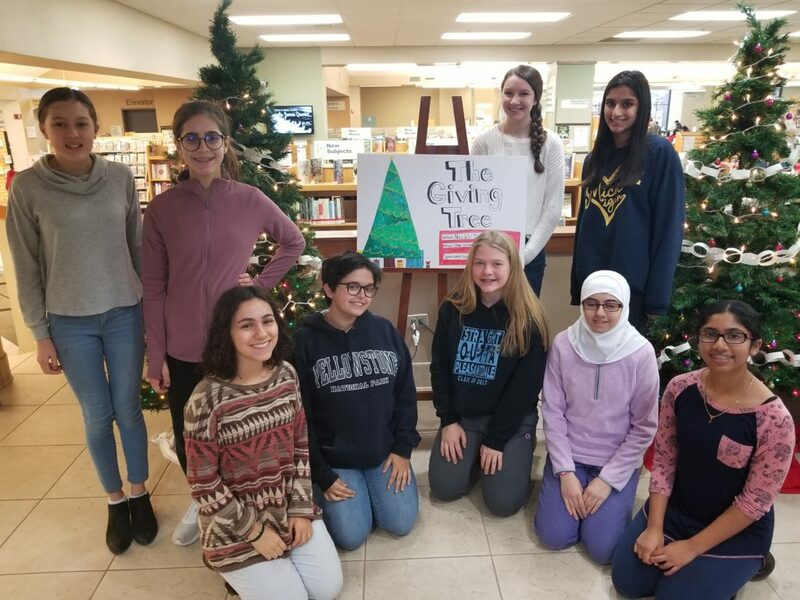 The IPPL Teen Advisory and Service Committee (TASC) has been hard at work on their next project, The Giving Tree! This is a favorite project of our TASC members, so we're happy to have it back. You'll find our trees in the lobby, and donations are accepted November 25-December 14. Bring in your new winter accessories: gloves, mittens, hats, and scarves, and pick up your ornament for the tree at the circulation desk. Do you craft for charity? We'll be happy to receive your handmade items as well.